Every writer has certain tools on hand to help them maintain their focus. Such as a certain writing utensil, notepad at a 90-degree angle on their desk, beverage in their favorite glass or mug, favorite pillow behind their back, and so on. However, writing tools aren’t necessarily physical. They can include having their desk organized just so, their chair facing a certain direction so positive energy will flow, writing at certain times of the day, or even writing from certain places outside of the home. Your tools are those things which help your creative juices to flow. 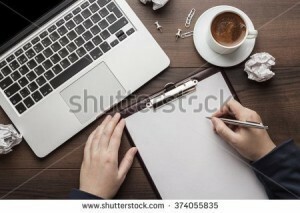 I’ve found that my best writing occurs late night/early morning and sometimes when my brain feels as if it’s fading, just a moment away from sleep. I’ve written about that in other posts, so I won’t dwell much on that here. Due to the ‘fading,’ my brain sometimes needs a quick pick-me-up, just a little sugar or caffeine boost. The picture above shows some of my favorite tools. 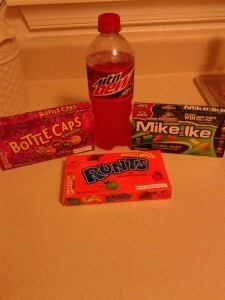 No, I don’t eat and drink them all at one time and I never drink soda when I eat candy. I do want to go to sleep at some point. One box of candy, one bottle of soda, may last me two weeks. I eat a piece, or take a sip, and keep writing. Do whatever works for you to help you be more productive with your writing. Subscribe for automatic notification of new posts. Share this article and website with others. Thanks in advance.